By Jenn McGrew Kiper – I have always been an athlete. I was a collegiate volley ball player, a short distance runner, a basketball player, etc.. But after 20+ years of running, I wanted to try something different. 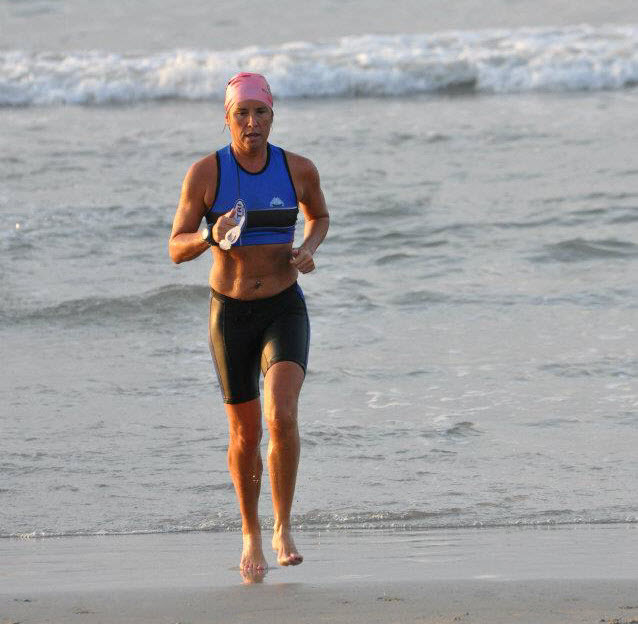 Fast-forward to 2013 when I decided – for my 40th birthday – that I would do a full ironman. I was coaching college volleyball at the time, and working fulltime as an aquatic director too. So in March, I got serious and started training with a group of 3 guys (one seasoned triathlete, and the other two had each done an Ironman race the previous year). I was the newbie. I basically did everything they told me to do, and never missed a practice. I went injury free during the whole training time. Well, almost. Two weeks until Ironman Louisville, I sprained my ankle at volleyball practice. I was devastated and thought “I trained this hard for nothing?! ?” I took the next two weeks off to let the ankle heal. We make it to Louisville. But the practice run and ride didn’t go well. It was almost like my body had forgotten everything that I had trained for months to do. I could barely run two miles. Eek. But I was determined. On Race day, I got out with the other athletes. The race starts, I enter the water and I finish the swim in went well under the 1:15 minutes that I had hoped for. The bike was going well until mile 70. My ankle was holing up. Then the crash happened. I was climbing the worst hill of the course and a biker couldn’t make it up. He took out several of us, and as I was falling, I heard a “pop” in my knee. I walked the rest of the way up the hill, but got on my bike and finished the 112 in utter pain. After 15 minutes in the medical tent during T2, I was told by the doctor that I had burst my Bursa Sac? What? What does that mean, I kept asking myself? Instead I said, “OK, but can I finish?” He simply replied, “If you can deal with the pain, go for it”. I followed his orders to ice my knee, and slathered it with icey hot. As a lifetime athlete, I’m used to dealing with pain. So, I ran out of the tent. Unfortunately, too fast, and had to dial it back. The miles were miserable, and the pain was horrible when I ran. I came around the ½ marathon turn and was ready to stop and pull out of the race; I was convinced that I wouldn’t finish in 17 hours. But, I saw my husband and he gave me a great pep talk, saying that I had plenty of time, even if I walked the next 13 miles. So I wiped the tears off my face, gave him a kiss, and started the power walking journey. I hit the dreaded mile 18 and thought “Crap, I have to walk 8 more?” By now, I have pain everywhere but somehow I kept going. I see mile 20, yes 6 more I am looking at my watch and thinking“I have plenty of time. I can do this under 14 hours. OK. Not bad. So, I start running (if you can call it that. More like a run-hop-hobble-whatever to mile 21. It hurts so much that I walk again. With about 4 miles to go I see my husband and I start crying again. We walk and talk, and he helps me push. I knew it was going to happen. I ask about everyone else and he fills me in. Now, I have about 2 miles or so left but I had really lost all track of mileage. I see my friends. My training partners, Don and Shawn came back to help me finish too. I start running. Why, I don’t know. So everyone is now running with me. Then I have to stop and walk. Now we’re all walking. But I can feel just pure excitement knowing I am going to be an ironman. 1.6 miles left, now .6 and the crowds are cheering. It was amazing, I feel no pain, I get right to the line and I hear screams for me up above. It was my parents, and my other training partner, Ed. I crossed line. I had done it. And I was carted off in a wheelchair. Not the ending I imaged. But I am an Ironman. What kept me going was my husband’s support, and the desire to get that tattoo. I finished in 14:05 (only five minutes later than my original goal time). When I was headed to the medical tent, I honestly was feeling bummed about my finish. But then when I got there, I looked around and saw that there were hundreds of people. Not everybody had their perfect day. My injuries were temporary, but my bragging rights are forever. After a couple of bags of ice and IV’s, I was off to enjoy the moment and appreciate my accomplishments, and those of my friends. I have taken off this year’s season due to surgery (unrelated to any triathlon issues) but I am excited to get back at it for next year’s IM season. I guess it will be easy to PR if I can just finish the race with fewer injuries. Jenn Kiper is a college volleyball coach and 31 consultant. 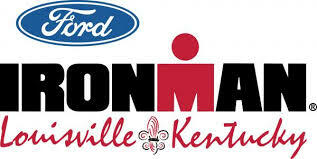 She has finished IM Lousiville, and Beach-to-Battleship (a ½ Ironman distance event). She lives in Wooster, Ohio with her husband, Brian, and their son, Hunter. She can be reached at jennkiper@yahoo.com.